ExamOnline has been designed to deliver high stakes, summative online examinations in Higher and Further Education settings. Authoring, delivery, marking, and analysis of sophisticated tests, examinations, and assessments, are all completed through a standard web browser. Online assessment is not just multiple choice. Few HE/FE summative examinations are composed of multiple choice questions. In addition to automatically marked question types, ExamOnline supports essays and extended answers, as well as allowing candidates to include annotated drawings with their answers. ExamOnline provides innovative support for marking of extended answers, essays and drawings. With ExamOnline, human-markers can mark and annotate student answers on-screen, or export them all to PDF for more traditional paper-based marking. The on-screen mode provides support for blind-marking and double-marking. The University of Dundee have used ExamOnline since 2011. 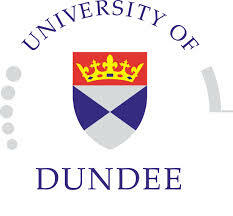 The University of Dundee license ExamOnline for 3,000 students per year. Up to 150 students at a time sit high stakes summative examinations using the system. The examinations are almost exclusively composed of extended answer questions which are subsequently human marked, either on-screen or after exporting to PDF. 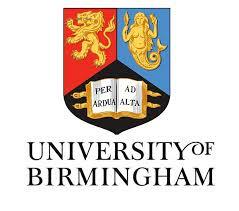 The University of Birmingham use ExamOnline to deliver MsC examinations on a weekly basis. The School of Civil Engineering at the University of Birmingham run more than 50 MSc engineering examination sessions a year on ExamOnline, each exam session typically with 20 to 50 candidates. Exams include automatically marked questions, short essay questions and long essay questions. Candidates also complete and submit hand-drawn sketches which are uploaded and marked online. Exam locations include Birmingham, Dublin, Singapore, New York and Toronto. The Centre for Research on Dissemination at Oxford have used ExamOnline since 2011. The Centre for Research on Dissemination at Oxford (CREDO) funded by the Wellcome Trust use ExamOnline to deliver a series of assessments related to their research on scalable training. The Centre selected ExamOnline after a short pilot because they found it intuitive to use, and because of the “excellent and personalised” support they received. Intelligent Assessment Technologies (IAT) is a provider of online examinations software, based in the UK, serving universities, businesses and training providers in the UK and overseas. We work closely with educators and assessment providers to develop assessment technology which directly meets their needs and fits with existing practices.